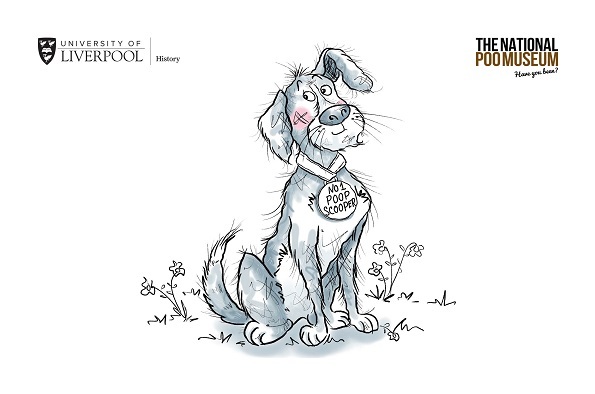 Learn about the history and science of dog poo with a day of activities hosted by the National Poo Museum and the University of Liverpool. Dog mess is a major public health concern in the United Kingdom and beyond. It provokes feelings of disgust and raises questions about cleanliness and civility in the city. Through fun and interactive games, pooetry readings, a dog poo poster competition, and exhibits, this free event will get you thinking about the messy world of dog poo. "Photo booth of secrets": To me, you are perfect, but... it's your time to re-enact the famous Love Actually scene! Tell us the best or the worst thing that your dog (or a dog that you know) has ever done. Act it out in our photo booth with props, 5 sheets of paper and oodles of creativity. Poochy Pooetry Workshop (2pm-2.30pm): Drop in and write short and fun pet and dog poems, inspired by our pet poet, Matt Black. All ages welcome.